Orchha is the beautiful Indian tourist place situated in Tikamgarh region, state Madhya Pradesh. This is the town also known as Urchha founded by King Rudra Pratap in 1501. The well-known river Betwa crosses through this town. Historical Background of Orchha: this town was established in the AD by the chief of Bundela Rudra Pratap. 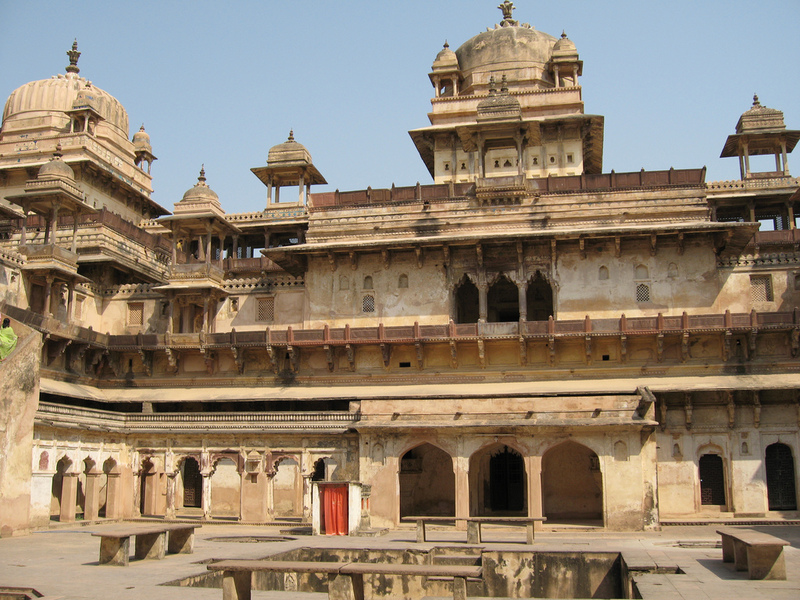 He was the first ruler of Orchha, (duration between 1501 to 1531). 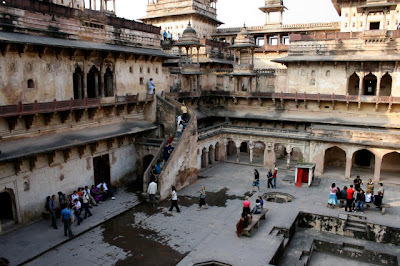 The fort constructed by Rudra Pratap Singh is major attraction for the tourist in this town. A famous Chaturbhuj Temple is next spot for the tourist in Orchha. This shrine was constructed during the mugal Emperor Akbar ruling period. The other following religious spot Raj Mandir was constructed by Madhukar Shah between 1554-1591. Betwa River Site: in rainy season, the river gets higher flow of water. Sitting at the site of Betwa River and watching the battlement wall and huge fort could be different experience for the visitors. The river is bounded by barricade walls connected to the fort. Orchha Fort: The palace was constructed by Rudra Pratap Singh. 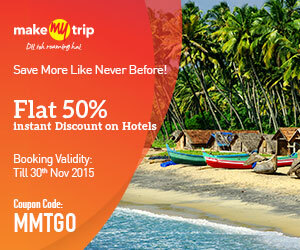 Here tourist can visit the temples and various shrines constructed by the various rulers of different empires. 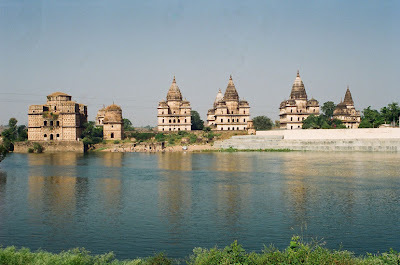 Experts call the Orchha as the peaceful place of India where a tourist can enjoy watching river from the peak of fort with an astonishing greenery view. Orchha fort includes several linked buildings established at different periods. Most of the structures are used by Kings of different empires. 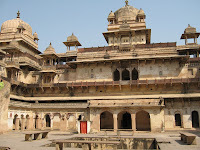 Such buildings are known as the Jahangir Mahal and Raja Palace. Ram Raja Temple: this shrine is constructed on the town square base. Delicate domes are special things of this temple. Mugal Emperor Jahangir constructed the palace on the rectangular area which is pleased by the round tower at every corner. Temple's roof is coroneted by 8 big domes. Jahangir Palace: another beautiful tourist spot is added to the list constructed with amazing variety of Mugal structural design. Chaturbhuj Temple: This shrine is one of the oldest temples of India. The construction period is 9th century of this shrine. 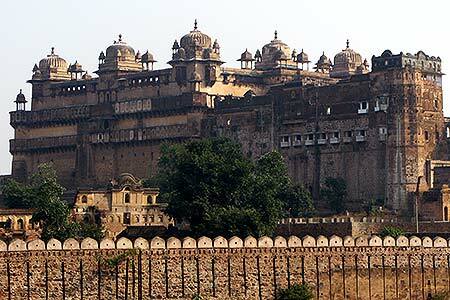 Orchha is the small town of MP, and it’s not being developed so tourist might face some problem with accommodation and transportation. Hiring the paid taxi could be best solution for enjoy the town properly, though taxies are available in limited quantity. This is the beautiful greenery peaceful place and government should start the schemes and plans to attract a tourist to this masterpiece architectural place. 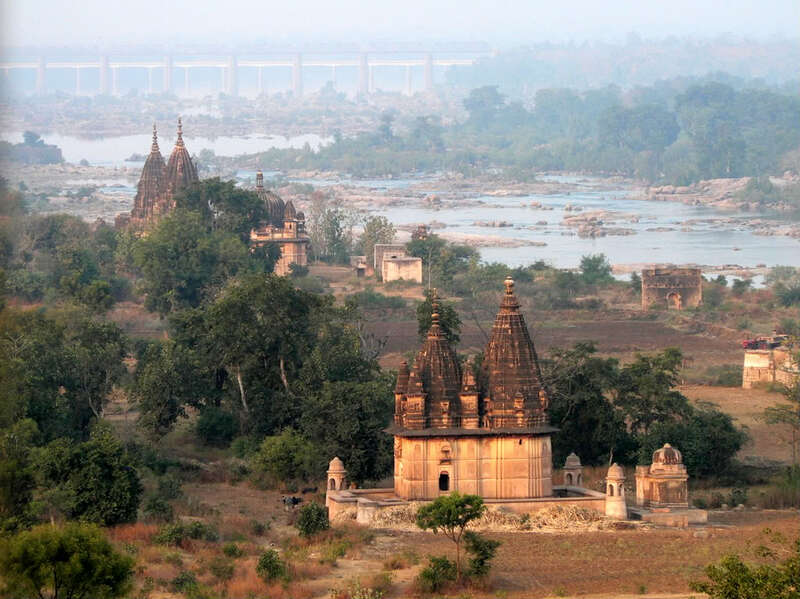 Tourist can also enjoy the bird watching Orchha as diverse birds come to the town at season and different occasions. The best part of accommodation is visitors will get feeling of village life in Orchha by staying in local loge and small hotels. 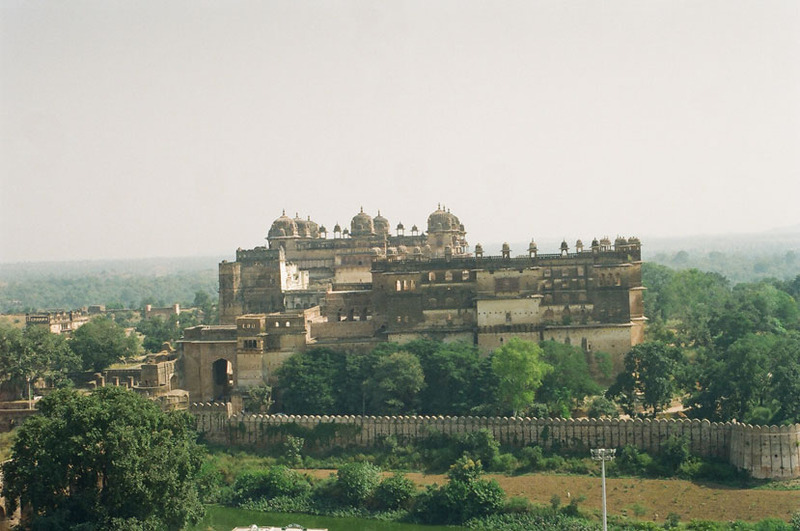 Visitors from around the world are reaching Orchha to enjoy the village life of India. To reach this tourist place visitor have to reach the train is the best method. Orchha railway station is connected through linked trains. Direct train from Jhansi is available to attain this place. Distance between Jhansi and Orchha is only 15 kms so journey through road is possible once reaching Jhansi. Jhansi is properly connected with various big cities across the country. 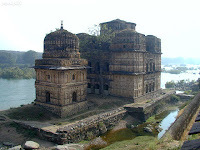 Orchha is very near to another Indian tourist place Khajuraho. 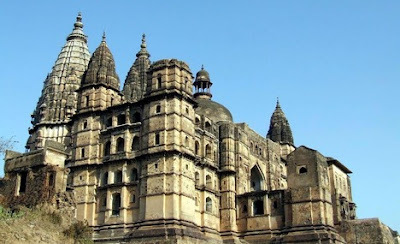 Those who reach Orchha can also visit the stunning historical place Khajuraho.